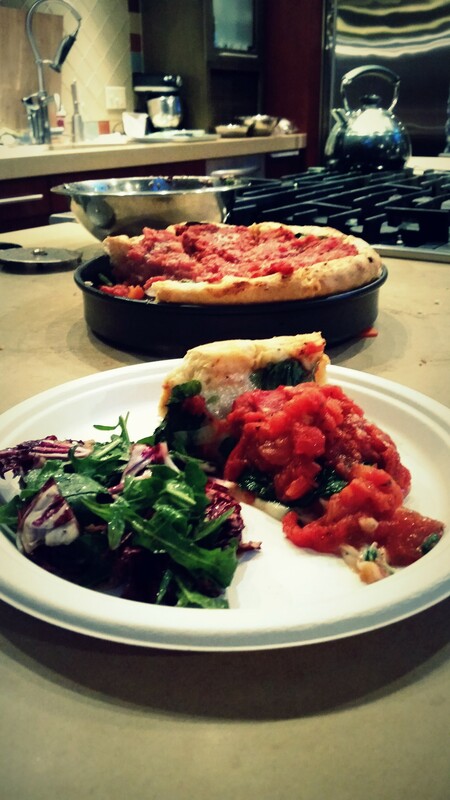 What do a deep dish pizza and a magician have in common? They both have good taste! Ok, that was a stretch but did you know magicians could have more than just doves up their sleeves? Recently, Now We’re Cookin’ invited members of Chicago Food Bloggers (including lucky saucy us) to learn to make the Chicago style pizza at their Evanston cook space. To our surprise, instead of pulling rabbits out of hats, our chef, a professional magician, pulled a fantastic pizza out of the oven. 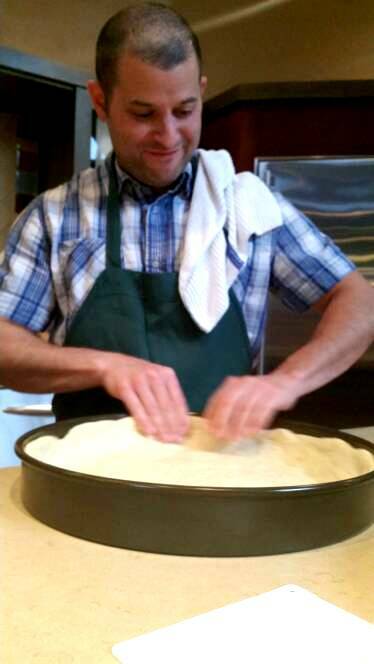 Chef Brian Kirshenbaum keeps his pizza dough straightforward (yeast, warm water, all purpose flour, cornmeal and oil) but sneaks in one secret ingredient (since a magician can’t reveal all his tricks). He demonstrated the proper way to press down the dough into a deep pan with the slight of a hand. Next, he created the sauce by squeezing the juice from fresh whole peeled plum tomatoes and sprinkling in fairy dust…or spices (oregano, black pepper, salt, and garlic) as we non magicians call them. Then guests partnered up and got to work pressing their own pizza dough and prepping their chunky sauce. Finally, the show came to it’s climatic point as fresh deli sliced mozzarella was pressed on the bottom. Guests picked up to 3 vegetables/meats to fill their own pizza. 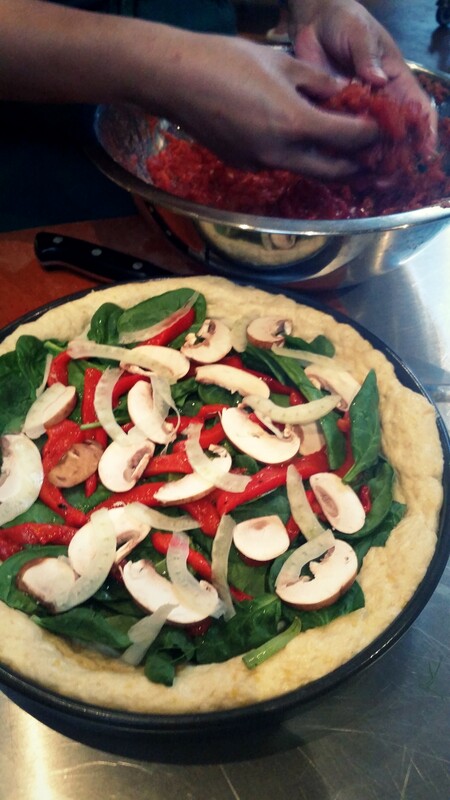 We shuffled through the ingredients and chose spinach, mushrooms, roasted red peppers and few thinly sliced fennel. Veg head Monica loaded up on the plants and a dash of spice instead of sticking with just the traditional thick chunk of gooey cheese (Mon is not fan of xxxtra cheese but will eat deep dish to support her city). 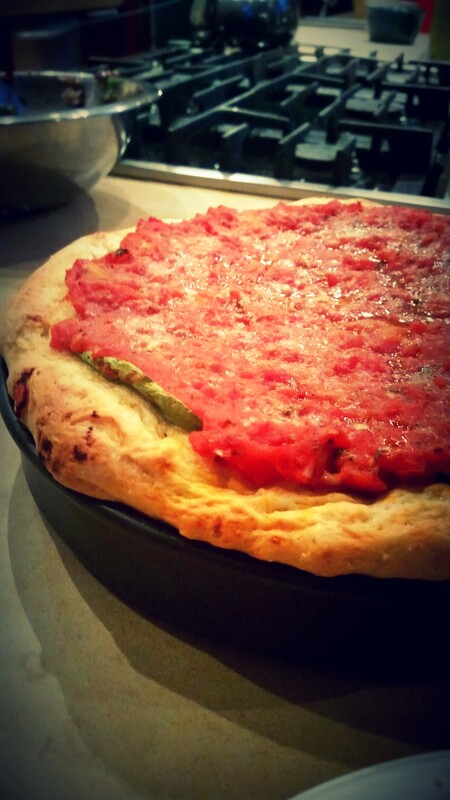 Finally, we spread the chunky tomato sauce over the top of the pizza and sprinkled Parmesan cheese and viola; a magic Chicago pizza appeared :). Notice the delicate saucy finish. As we marveled at the fresh flavor of the pizza, Chef BK astounded us with magic acts to titillate our other senses. 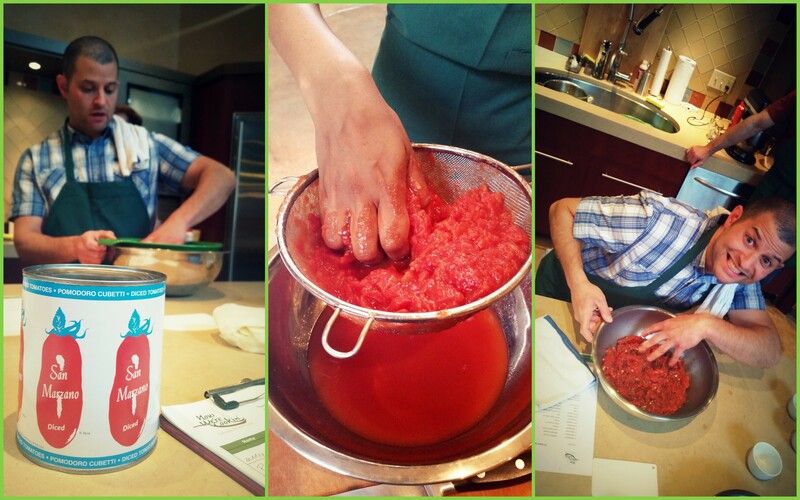 We had a blast learning from Chef and Illusionist Brian Kirshenbaum at Now We’re Cookin’. 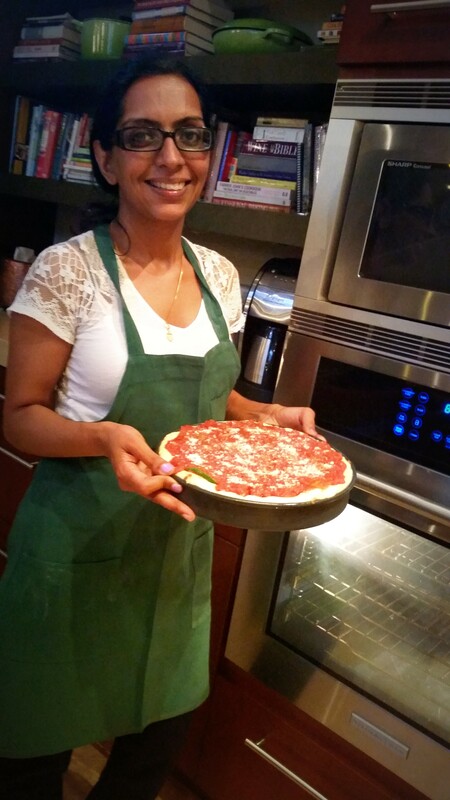 And now Mon loves Chicago’s own deep dish pizza!